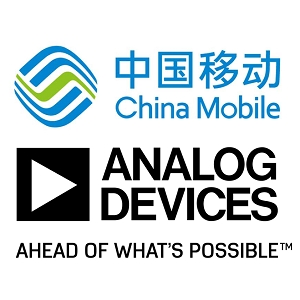 Analog Devices has entered into a strategic relationship with China Mobile IoT (CMIOT), a wholly owned subsidiary of China Mobile Communications Corporation (CMCC) for advancing internet-connected applications around the world. Both global leaders in the Internet of Things (IoT) ecosystem, Analog Devices and China Mobile IoT expect to collaborate to develop IoT solutions for customers across industries. Through this milestone cooperation, the companies will work together to enable customer outcomes such as higher efficiencies and safer environments, by bringing the best of each organization’s capabilities to the entire spectrum of IoT technology, from the sensor level through to the cloud. Analog Devices and CMIOT will explore advances in internet-enabled technologies impacting individuals across the globe. From buildings to transportation, energy systems, environmental quality monitoring, personal healthcare and vehicle-to-infrastructure communications, smart - or internet-enabled - systems are becoming an increasingly significant component of daily life. To enable these smart capabilities, Analog Devices converts data into valuable and actionable information and develops platform-level solutions that help customers design and deploy intelligent solutions faster and more cost effectively. To learn more, click here.